Campervans, or Class B motorhomes, have begun to rise in popularity over the past few years. And with the #vanlife hashtag on Instagram centered around the lifestyle of people who have taken to exploring and traveling in this small motorhome, this van has sparked the imagination and excitement of travelers everywhere. What is a Class B Motorhome? Class B motorhomes, or camping conversion vans, are smaller and much more compact then their counterparts Class A and Class C motorhomes. However, they are larger and taller than a standard van. Even with the increased size, Class Bs are easy to maneuver and park and have many of the conveniences you would find in other types of motorhomes, just smaller and more compact. Features generally include, kitchen, bathroom, bed, dinette and storage space. Class B vans range in size from 16 to 22 feet. Depending on the floorplans, features and amenities, they can range in price from $60,000 to $150,000. Class B vans come in all shapes and types with van chassis from manufacturers such as Dodge Ram, Mercedes Benz and Ford. RV manufacturers like Winnebago, Coachmen, Pleasure-Way and Midwest are some of the companies that retro-fit these specially built van chassis for RV travel. Who is the Class B for? 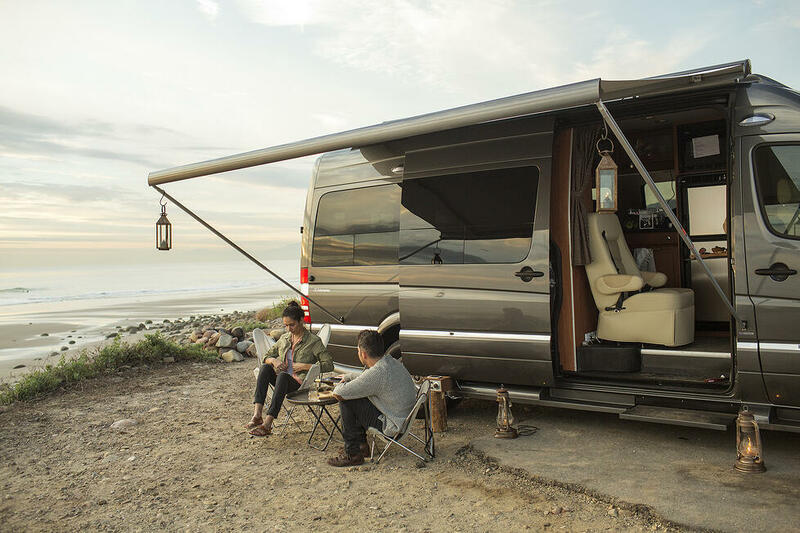 These campervans are perfect for families who enjoy short road trips and sightseeing along the way, as they feature many of the amenities from home and a comfortable space to travel in. Also, Class Bs are great for people who enjoy the minimalist lifestyle and picking up and going whenever and where ever they like! Class Bs do offer more fuel efficiency than their counterparts and are more affordable at fill up. They can go practically anywhere a standard vehicle can go, so that means go ahead and park in one parking space, stop at that secluded overhanging while roadtrecking and don’t be afraid to drive in-town for anything you need. Learning how to drive these small motorhomes is easier than a traditional Class A as you don't have to worry about height allowances when driving on back roads with low overpasses or feel nervous in cities with tunnels. While all Class Bs are different, you can expect to find the following features standard across most makes and models. Awning: stay cool and protected from the sun with an automatic awning. You can also extend your living space to the outdoors, creating more room at the campsite. Murphy Bed/Couch: Murphy and fold-out beds from the couch or booths are standard in Class Bs. There is not a lot of space, so functionality is key. Small Stovetop: many models only have one burner, but there are units available, some of which we feature below, with two burners to increase cooking convenience. Wet Bath: When we say shower, we mean the shower/toilet stall combo. But still very handy on road trips and overnight camping. Dinette/Galley Kitchen: the minimal space still allows for a small cooking and eating area. 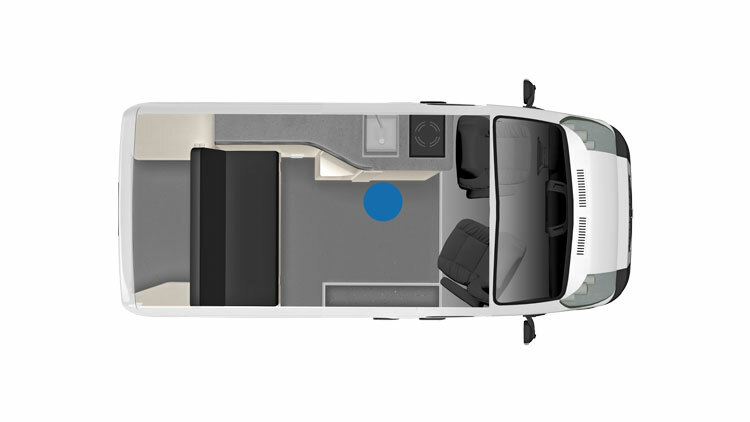 Even though these motorhomes are built off a van, there are still a range of floorplans available depending on your lifestyle and needs. We explore a few options below for range of budgets and lifestyles. Featuring vans from Winnebago to Pleasure-Way, you’ll get a good idea of what is available before you start shopping. Not sure if a campervan is right for you? Take our quiz to find out which type of RV is right for your lifestyle. With an MSRP of $112,907 the Winnebago Travato has some upscale features that most travelers will enjoy. 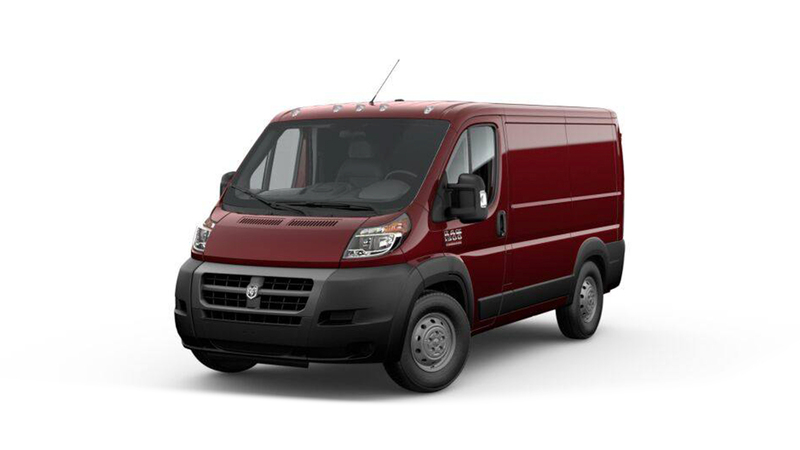 On a powerful and fuel-efficient Ram ProMaster chassis, solar panels now come standard in the new models. Coming in at 21’ in length and 9’4” in height with a 3.6L V6 engine, the Travato also features a more modern look and feel in the interior design than some of its counterparts. With the Flex Bed System, there is extra sleeping space and the front chairs swivel to face towards the back for added seating space. And there is plenty of cabinet and overhead storage space throughout. Want to view more features and the interiors? Visit Winnebago Class B motorhome's dealer site. The Coachmen Galleria is built on an award-winning 3500 Mercedes Sprinter chassis and offers the quality and luxury of Mercedes Benz. Starting at $153,202, this unit runs on diesel, claiming the cleanest running turbo-diesel engines on the market. It also features high-end components for the furnace, generator and more. Also included are luxury details like solar panels, maple cabinetry, power sofa and soft close doors and drawers. Add-on features from the manufacturer include a polar package for winter camping, bike racks and switching out the maple cabinets for high-gloss cherry. Check out more of the features of the Galleria Class B to decide if it’s the right RV for you. Want to explore more about the RV lifestyle? Read more about it on our blog here. Need some more information about motorhomes and what they offer? 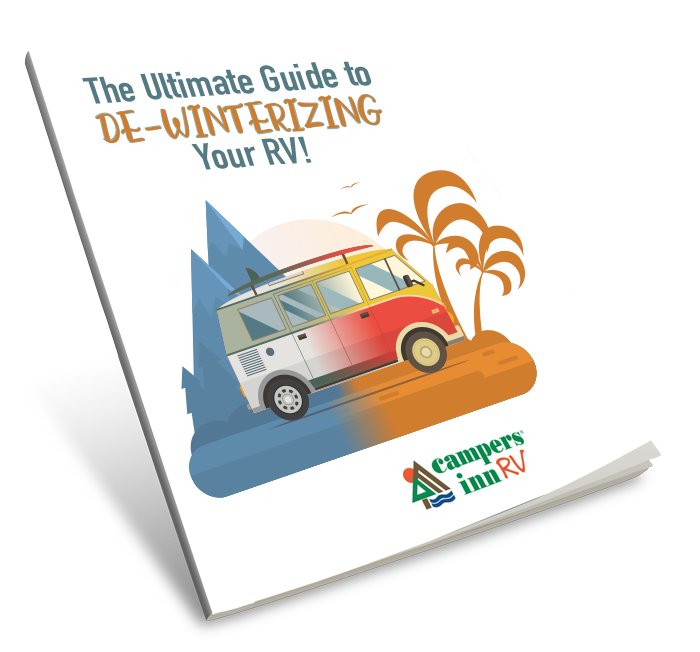 Download our free Motorhome Guide.